As the seasons change, so do our foodie palettes. Luckily for us… new and exciting flavours beckon as we enter Brisbane’s cooler months. The Victoria Park Bistro’s autumn menu is now in full swing featuring ridiculously delicious and hearty Breakfast dishes. With fresh produce picked from Victoria Park’s very own backyard, you can trust that your next meal will be finger licking good as well as nourishing. A local favourite already, the Bistro’s house smoked salmon with peppers, baked eggs, finger lime soured cream, fennel and rye toast is a must. 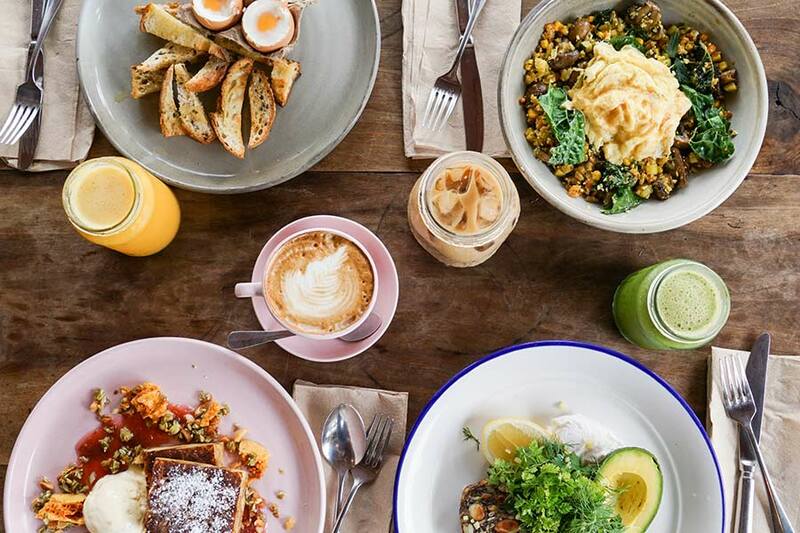 The list goes on with the Bistro’s “Eggs and Soldiers” with sourdough, Mt Cotton mushrooms with scrambled eggs and corn and zucchini cauliflower “cous cous”, Avocado and poached eggs with garden herbs, Middle Eastern fruit toast with chestnut butter and more on the autumn menu. To balance out the savoury with some sweet, try Chef’s “Pain perdu” French toast with macadamia ice cream, honeycomb and rhubarb. Remember though to leave some room for Chef’s garden herb hash and buttered greens – yum! The food will certainly not disappoint and we are sure you will be back again to try out more flavours soon. So if you’re in search of a new breakfast hotspot, the Victoria Park Bistro should be your number one choice. A one of a kind venue where you can enjoy the early morning sun served with picturesque view of Brisbane’s city skyline. Victoria Park Bistro is located at the top of the Victoria Park Golf Complex, open every day for breakfast from 7am to 11am. Click here to view the Bistro’s latest menus.